This particular WTATWTA article is a reader request, which is a landmark for Common Tread, because I believe this is the first time that we've had an article requested. I’m rather proud that at least one rider considers us some sort of authority on… well, on something. Our reader was curious as to why some bikes are fitted with a hydraulically operated clutch instead of the cable-actuated clutch that has been common for years. It’s a good question, because most manufacturers don’t spell out the reasons. Like most of the other things we cover in this series, it’s not a question of which is “better,” but rather which characteristics a certain rider might prize more highly. This photo of the parts in a Honda CRF450R motocross bike's clutch helps to visualize how it works. Honda photo. 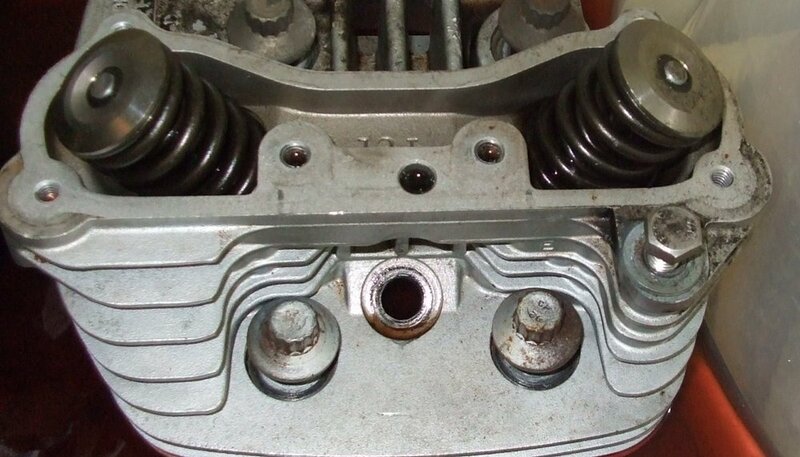 See the matching master cylinders on both sides of the BMW R 1200 RT at top? That tells you the clutch is actuated hydraulically. The Kawasaki Ninja 300, in the lower photo, does fine with a cable-actuated clutch, like most motorcycles. BMW and Kawasaki photos. As engines continue to increase in power, the clamping power the clutch springs provide must also increase. 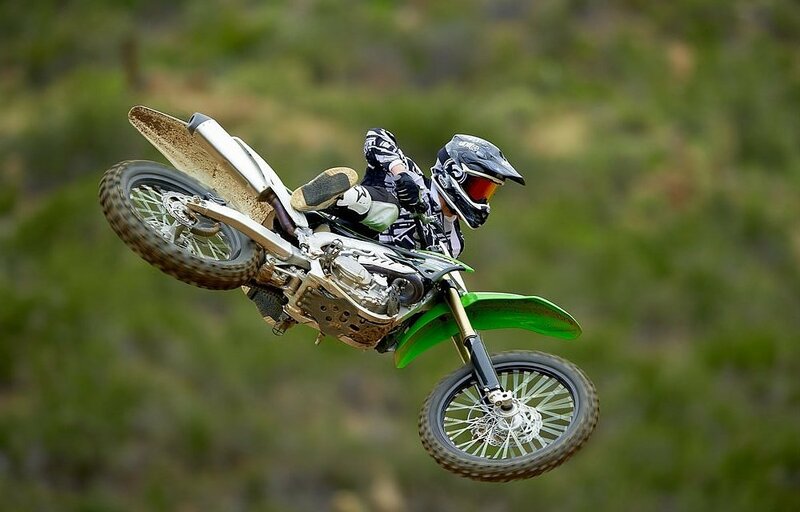 Since human hand strength is not advancing at the same rapid rate, hydraulic clutches offer a fairly easy way to design a clutch that can be powerful, yet feel fairly light to the rider. Hydraulically actuated clutches also have the ability to self-adjust. Unlike cables, juice units compensate for wear in the clutch and never need periodic adjustments. Hydraulic clutches also offer a different feel than a standard cable-operated unit. 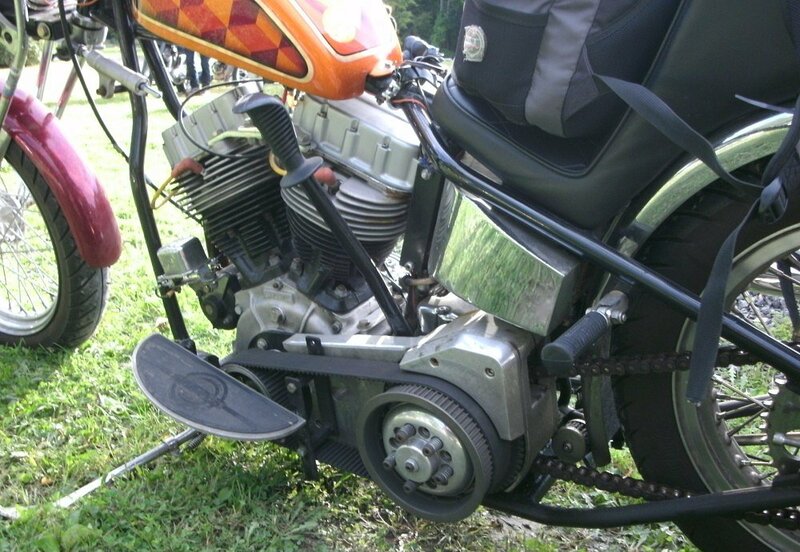 Most riders can discern which type of clutch actuation a bike is equipped with simply by working the lever some. It is subjective, but most folks have a preference for one type of another. Hydraulic clutches eliminate the maintenance of lubricating and replacing cables, but juice clutches require periodic draining, refilling, and system bleeding. So why haven't cables been supplanted? Well, they are less expensive to manufacture, relative to their hydraulic counterparts, and require far fewer parts. They are also lighter than a hydraulic system by a considerable amount. That fact, coupled with the large number of riders who seem to prefer the feel of a cable-operated clutch, has allowed them to really hang on in the sportbike world. From an offroad perspective, cables are a bit tougher. (Hydraulic lines can puncture, leak and fail, where a pierced cable will likely soldier on.) They do require periodic lubrication, but advancements in the housing liners — like the inclusion of Teflon — render that operation more or less obsolete. I’d like to also touch on a bygone method of clutch actuation that riders of today often forget about. It bears mention because it is still a good way to move a spinning clutch disc, and it also happens to be my favorite way to do the job: mechanical linkage. It’s pretty dang hard to snap a chain or rod. If you’ve never ridden a foot-clutch bike, give it a whirl. It’s fun! Because he likes doing things differently from the crowd, Lemmy prefers a foot clutch. Photo by Ryan Targoff. From the standpoint of function, cables and hydraulic lines both are incredibly reliable. Anecdotally, I have broken one clutch cable in my life, and I have had one slave cylinder shoot craps, so reliability has been a wash for me personally, and I would imagine our readers have had similar experiences. As is usually the case in our WTATWTA articles, there's more than one method that works well, but sometimes one shines in a particular scenario.